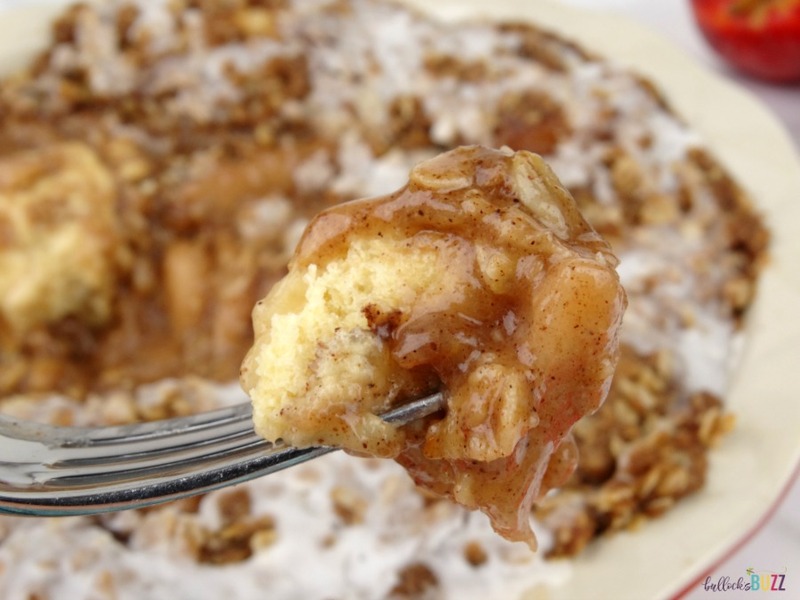 Cinnamon Roll Apple Crumble - A Delightfully Delicious Dessert! 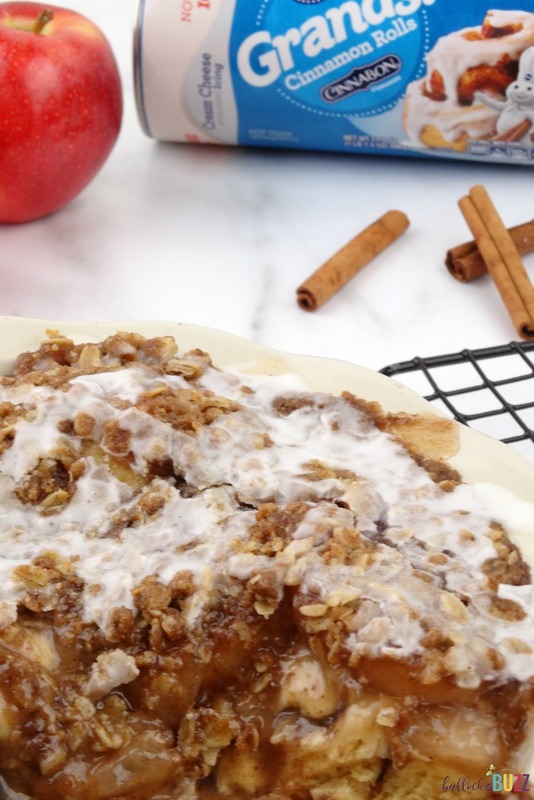 If you’re looking for a way to add a special Springtime treat to your breakfast, brunch or dessert menu this easy Cinnamon Roll Apple Crumble is the perfect solution. This is a sponsored post from Pillsbury™, but all opinions are my own.  Although Spring has not yet officially sprung, here in Alabama the temperatures have been in the 70’s for the last few weeks with no sign of cooling back down. And once the weather starts feeling like Spring, I get baking fever! There’s just something about the longer days, the warmer temperatures and everything coming back to life that makes me want to create. And with spring break, Mother’s Day and Easter right around the corner, there’s plenty of occasions to create delectable homemade baked treats! Speaking of Easter, each year my husband’s side of the family gathers together for a huge Easter party/ potluck brunch. Everyone in the family brings something to eat. This year I wanted to bring an extra special and tasty treat, something creative and unique. That’s where my Cinnamon Roll Apple Crumble comes in. 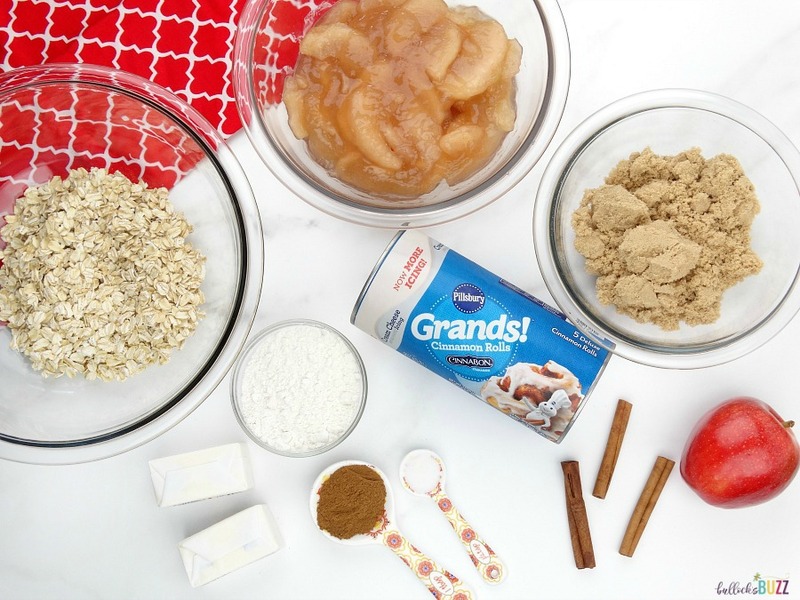 This Cinnamon Roll Apple Crumble recipe takes two of my favorite flavors – apples and cinnamon – and combines them into one scrumptious and easy springtime treat. It’s super delicious and incredibly easy, and takes less than an hour to make. My secret? Pillsbury™ cinnamon rolls! With their warm, delicious cinnamon-y homemade taste, no one will know you used refrigerated cinnamon rolls unless you tell them. Let me show you just how quick and easy this recipe really is! You’ll need just a few things to get started. I found everything I needed for this recipe at Walmart. 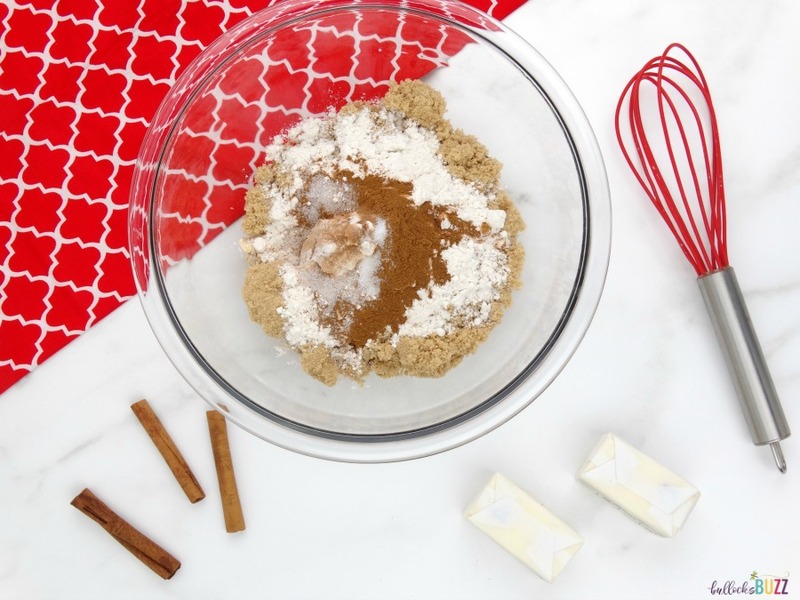 Begin by combining the oats, brown sugar, flour, cinnamon, and salt with a whisk until well mixed. Then, using a pastry blender, two knives, or a food processor, cut the butter into the mixture until it resembles a coarse meal with pea-sized pieces of butter. You want the dough to look like crumbles. Next, remove the cinnamon buns from the can, and set the icing to the side. Spray a pie pan with non-stick cooking spray, and place the cinnamon rolls in the pan with the sides touching and one in the middle. Depending on the size of your pan, this will take either 5 or 6 rolls. Now spread the apple pie filling evenly over and between the cinnamon rolls. Next, sprinkle the crumble mixture over the pie filling. Place the pie pan on a large baking sheet to catch any drips, then bake at 350 degrees for 28 to 30 minutes. Once finished, remove the Cinnamon Roll Apple Crumble from the oven, and then drizzle with the cream cheese frosting while still warm. Serve while it is still warm and enjoy. 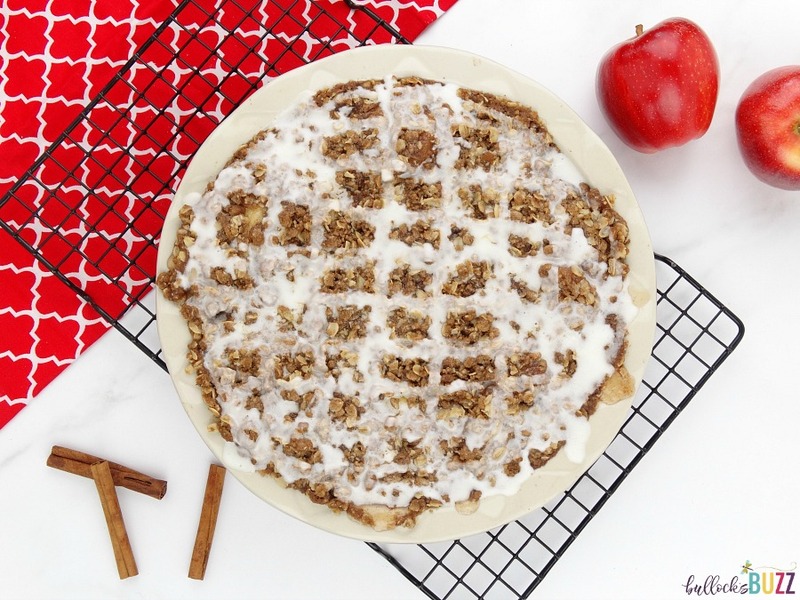 This Cinnamon Roll Apple Crumble is perfect for breakfast, brunch or even as an afternoon treat! And for an extra special dessert, top it with a scoop of your favorite vanilla ice cream! 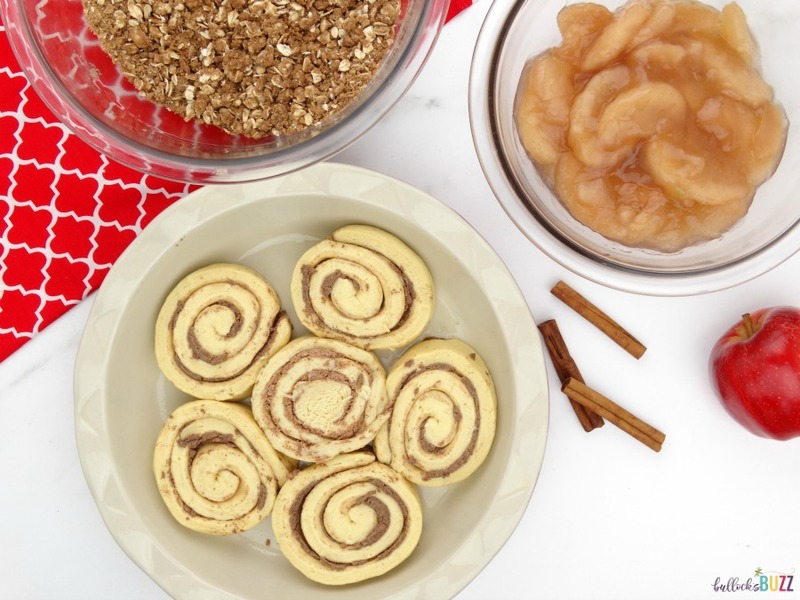 For more #PillsburySpringBaking inspiration – connect with Pillsbury™ on Pinterest. 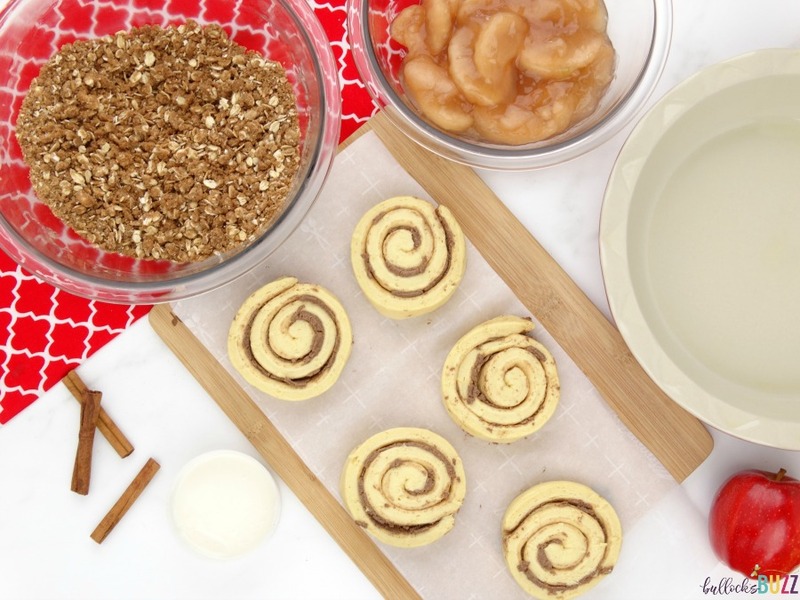 Do you have a favorite Pillsbury™ Cinnamon Roll recipe? Share with us in the comments below! 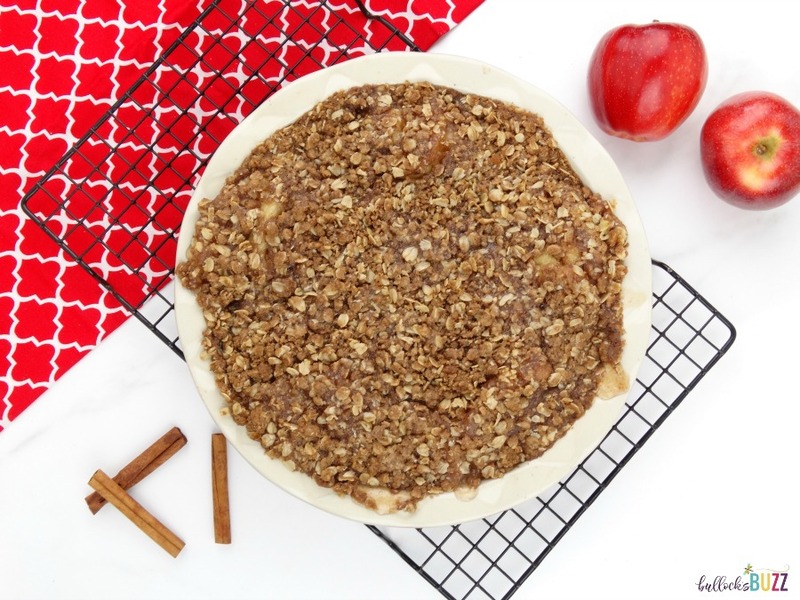 In this delectable Cinnamon Roll Apple Crumble recipe, warm gooey cinnamon buns are smothered in crisp apple pie filling then topped with a crunchy cinnamon and brown sugar crumble. Warm cream cheese icing crowns this delightful dessert. 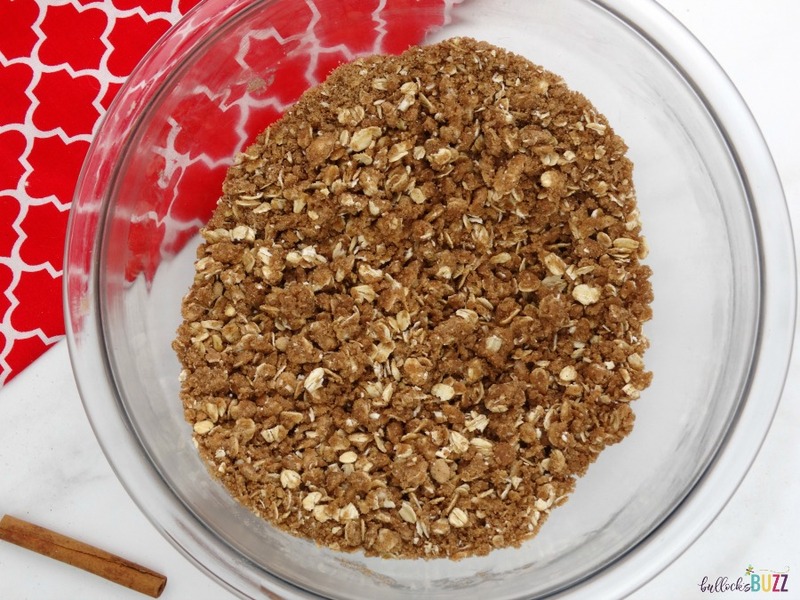 In a medium-sized bowl, combine the oats, brown sugar, flour, cinnamon, and salt with a whisk until well mixed. Using a pastry blender, two knives, or a food processor, cut the butter into the mixture until it resembles a coarse meal with pea-sized pieces of butter. You want it to look like crumbles. Remove the cinnamon buns from the can, and set the icing to the side. 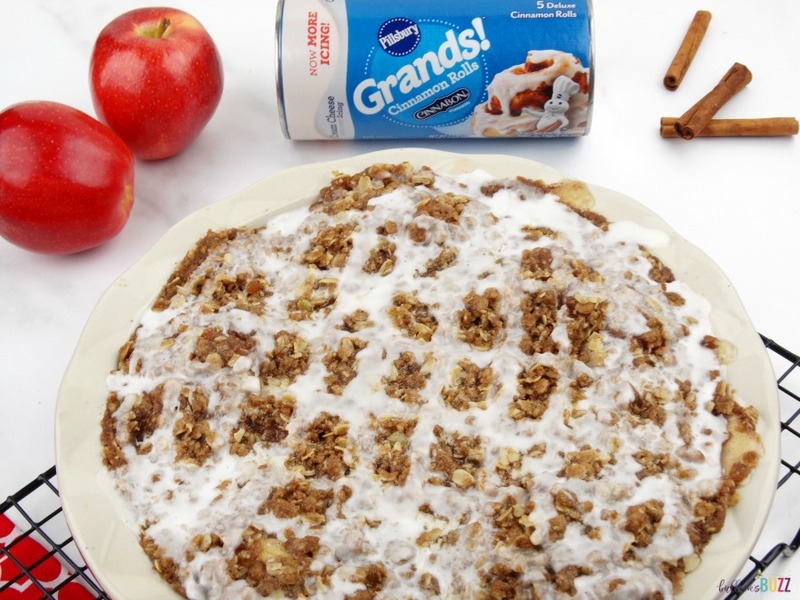 Spread the apple pie filling evenly over and between the cinnamon rolls. Sprinkle the crumble mixture over the pie filling. Can I just say that this looks amazing! I haven’t had breakfast yet, and now I’m wiping the drool from my chin! Thank you! It is really soooo good – definitely drool-worthy! 🙂 Let me know if you decide to make it. It is super easy! I am going to make this! I love how easy it is. I know I will love this. My family will too. Hi Amber! Awesome! Let me know what they think of it! Ohhh yum! 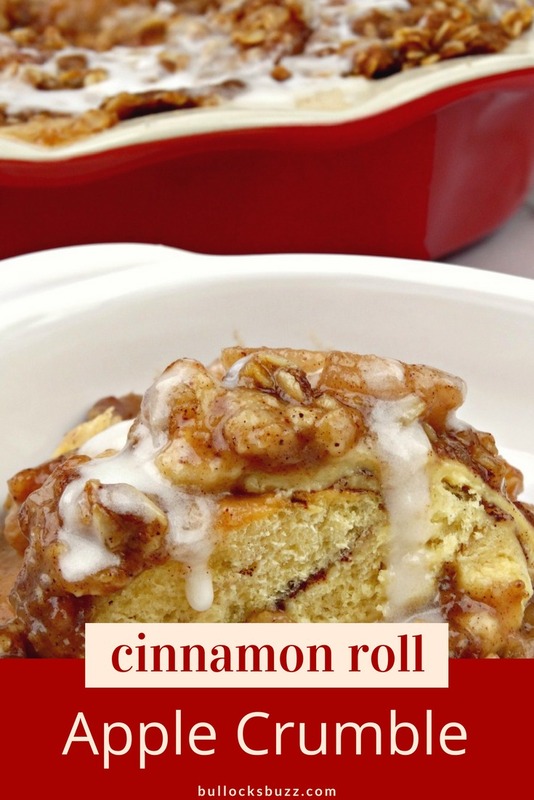 I love a good cinnamon roll, will have to try out this recipe! Hi Sondra! I’d love to know how it turns out for you, and what you think! Enjoy! This is just amazing. 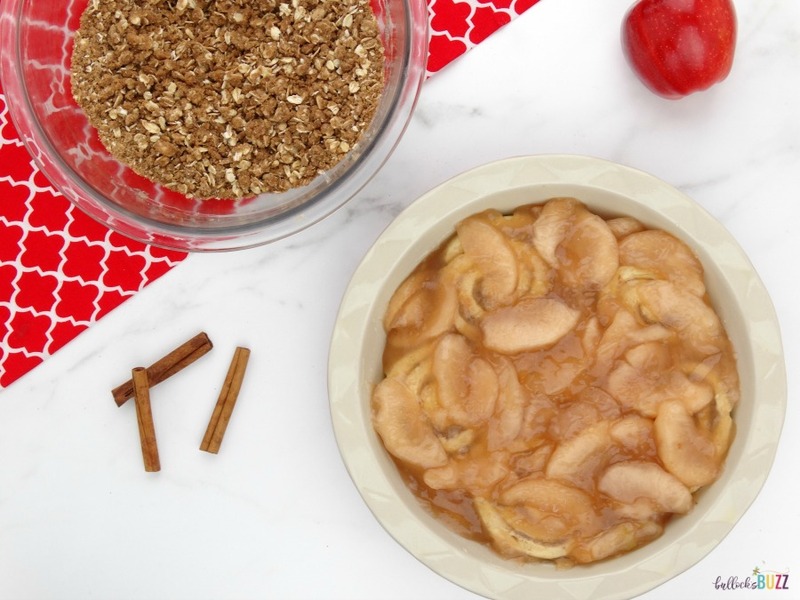 I always love the “heavenly” combo of cinnamon and apple. Thanks for sharing the recipe. 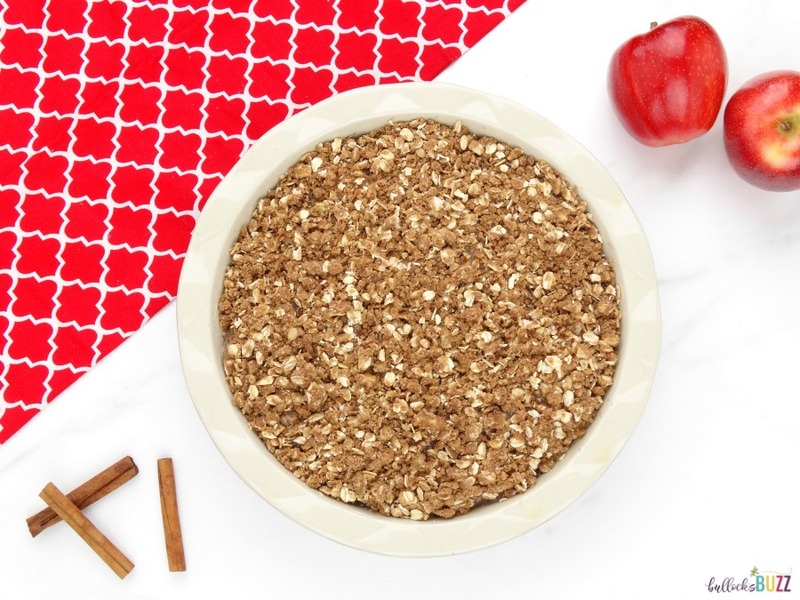 Heavenly is the perfect description for the taste of apple and cinnamon together! You’re so welcome! Let me know if you make it, and what you think! Im drooling! I love and I would love this with gelato! Good thing I just went to the grocery store. Diet or not these ingredients would have found their way into my cart. I do believe these may grace our breakfast table Easter morning though. Apple desserts are my absolutely favorites. This one is literally making my mouth water. Me, too! Especially when combined with cinnamon! This sounds heavenly. I love all of those things individually, but all together this is going to be amazing. The weekends are normally the days when we do something extra special for breakfast, and I know this is going to lure my kids out of bed. Hi Heather! I’d love to know what your kids think about it! Enjoy! You prepared it so deliciously! I hope when I do it, it will be as good as yours. Yummy.